Pete’s Cheese Enchilada, beef taco, chile relleno dinner. *Gluten Free/Vegetarian Green Chile Available. 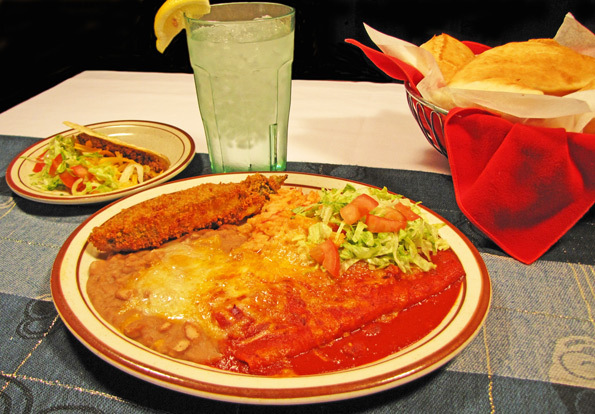 All Combination and Enchilada Dinners served with Red or Green Chile and two Sopaipillas.